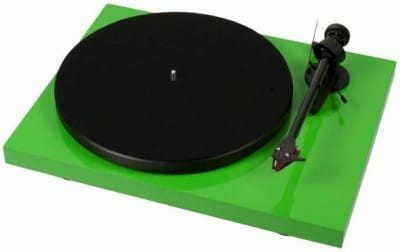 Pro-Ject Debut Carbon DC on perinteisen näköinen vinylisoitin. 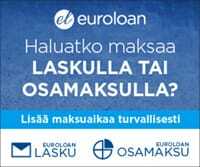 Laadukas rakenne ja uusi DC moottori luo tasaisesti pyörivän soittimen. Ortophon 2M Red rasialla varustettuna laite soi erittäin hienosti. • 8,6” carbon tonearm • Increased platter size with more weight • Precision belt drive with synchronous motor • New DC power supply with ultra precision frequency DC-driven AC generator (like Speed Box) for ultimate speed stability. • New TPE motor suspension • Felt mat • magnetic cartridge options from Ortofon OM 10 or 2M red • 7 high-gloss colours • Dust cover included The best-buy turntable classic with carbon tonearm and DC power supply! The first Debut turntable, introduced in the late 1990s, was a revolution for the hi-fi industry. For the first time after the arrival of Compact Disc and the assumed demise of vinyl records, an analogue product re-emerged in the “mass market” – something all music lovers could afford. The new DEBUT Carbon DC was designed to set new standards in this category for the coming decade – perfectly timed as analogue today is again a respected source, while the demand for good turntables is growing again! The most obvious improvement is the inclusion of a CARBON TUBE for the tonearm, which increases stiffness and decreases unwanted resonance. This material normally is extensively used in high-end tonearms, but – because of cost reasons – was never used in products at lower price levels. Together with other improvements like an increase in platter size and weight to realize even smoother rotation, the overall sound quality is greatly improved. The approved belt drive design offers low noise AC motor with effective motor decoupling (utilising TPE-damping) and ultra precision frequency DC-driven AC generator (like Speed Box) for ultimate speed stability without unwanted vibration. The DEBUT CARBON DC is offered in high-gloss black or shiny red, green, blue, yellow, silver or white as no-added-cost option.